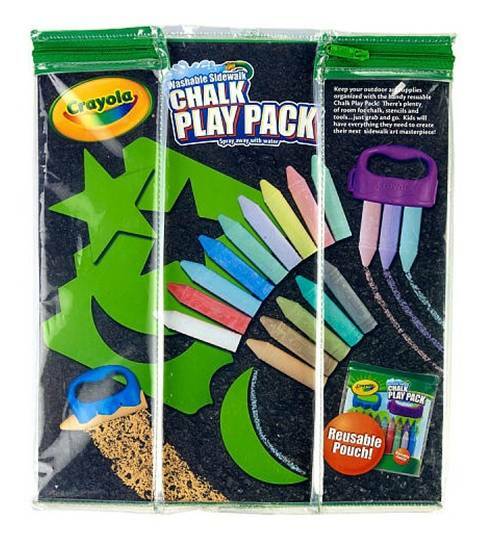 Now, kids have an easy way to store and carry their outdoor art supplies with the Crayola Washable Sidewalk Chalk Play Pack! 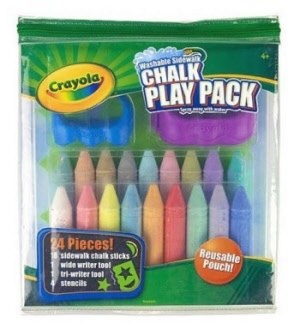 The all inclusive outdoor art set with everything kids need to create outdoor masterpieces! Includes 18 sidewalk chalk sticks, 1 sidewalk chalk wide writer, 1 sidewalk chalk tri-writer and 4 stencils. Washable, simply spray away with water. 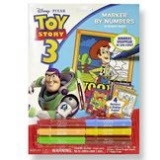 Great for travel with handy pouch and handle storage bag. 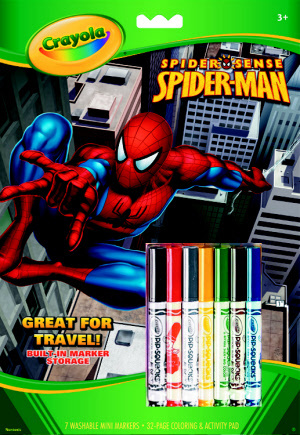 The new Spiderman colouring and activity set will be a hit with all young spiderman fans. Great for travel.